If you are young and healthy, buying life insurance is a walk in the park. You are seen as a low-risk consumer by life insurance companies and get the best possible rates. If you are a senior, on the other hand, buying life insurance might prove to be a slightly difficult task. You are seen as a high-risk consumer by insurance companies due to your age. It does not, however, mean that life insurance companies do not cater to the needs of senior citizens at all. Almost all the insurance providers issue policies for elderly people and some companies even cater specifically to the needs of those who are on the wrong side of 50. In this article, we discuss why it is important for you to compare different companies before buying a policy, how choosing an insurance provider is different for a senior compared to a younger person, mistakes to avoid, the best policies for seniors, and the best life insurance companies for seniors. 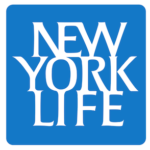 New York Life is one of the few companies in the industry that have a generous age limit (up to the age of 85) for their guaranteed universal life policies. The coverage amount starts at $25,000, which is ideal for those who are looking for a final expenses policy. Depending on your needs, you can open the window for a larger death benefit as well. There are no medical exams required and you will be accepted as long as you are within the age limit of 85 years. This can be extremely beneficial for those who are suffering from various ailments and are not likely to qualify for a fully underwritten policy. New York Life also offers a living benefits rider, which gives you access to a portion of the death benefit in case you are diagnosed with a terminal illness. Apart from its own policies, New York Life also offers term and whole life policies through the American Association of Retired Persons (AARP). The company offers a term policy, a whole life policy, and a guaranteed acceptance whole life policy, all of which do not require any medical exams. Mutual of Omaha has been in the insurance business for more than a century and is one of the most established names in the industry today. The company offers a guaranteed universal life policy for people within the age limit of 85. The coverage starts at $50,000 and you do not need to undergo any medical exam if your policy’s death benefit does not exceed $250,000. Assurity has been in the industry for more than 120 years and is a leading insurance provider in the country. It offers a policy called Non Med Term 350, which does not involve a medical exam. You need to be between the ages of 18 and 65 in order to qualify for the policy. The policy has a death benefit of $350,000, which is sufficient to cover most of your financial needs. A list of ‘best life insurance companies for seniors’ would not be complete without mentioning Sagicor. The company offers a term policy as well as a universal life policy, both of which do not need you to undergo any sort of medical exam. The death benefit for both policies ranges from $25,000 to $1,000,000. The company also has a very simple application process, which only takes about 30 minutes. Principal offers a term life policy that does not involve any lab tests or medical exams. The coverage amount could be anywhere from $50,000 to $1,000,000. The term length could be 10, 15, 20, or 30 years. You need to be between the ages of 18 and 60 in order to get qualified for the policy. For a young person in their 20’s or 30’s, buying life insurance is a pretty straightforward process. They need to undergo a medical exam, get a clean bill of health, and choose a company that offers the amount of coverage they need at affordable rates. For a senior citizen, however, the process is slightly more complicated. First of all, you are not likely to qualify for some of the policies that are available for younger people. Many insurance companies have a cut-off age, beyond which they do not issue term policies. They only offer permanent life policies for people beyond the cut-off age and the premiums could be significantly higher. Many insurance companies have strict underwriting policies and require the applicants to undergo a medical exam. If you have any preexisting conditions or have a family history of hereditary diseases, the results of your medical exam could severely dent your insurability. If you are considered a high-risk consumer, the company is likely to charge you a lot more than what it charges a younger person. Some insurance companies primarily cater to a younger consumer base and reserve their best rates only for them. While they do issue policies for older people, the premiums are often exorbitantly high and very few people can afford to pay them. So, as a senior, you cannot afford to randomly pick and choose an insurance company. You need to look for a company that caters to the financial needs of older people and offers affordably priced policies. This is why you need to be very careful while buying life insurance as a senior citizen. Young people can afford to make mistakes because they have time on their side. If they end up buying the wrong policy accidentally, they can cancel it, apply for another policy, and get accepted without any issue. You, on the other hand, cannot afford to make such mistakes. If you choose the wrong policy or the wrong insurance provider, you cannot cancel it and expect to get qualified for another policy instantly. With every passing year, your insurability reduces significantly. So, you need to keep these factors in mind while choosing an insurance provider. It is no secret that insurance companies charge senior citizens more compared to what they charge young people. Still, the rates differ from one company to another due to various factors. Some companies have lenient underwriting policies and accept you even if you have health problems like high cholesterol levels, diabetes, and high blood pressure. Some others, on the contrary, have very strict underwriting policies and reject people who are old and have preexisting conditions. Some companies accept older people as long as they do not have any major health issues and even offer them favorable rates. Some companies accept older people with preexisting conditions, but tend to charge exorbitant rates. Some companies do not require older people to undergo a medical exam at all, but charge a higher rate compared to people who undergo a medical exam. Basically, your chances of getting accepted or declined depend on the insurance company’s policy regarding senior citizens. Similarly, the rate you will be charged also depends on the company’s underwriting guidelines. As you know, each insurance company has its own underwriting policy, which means you never know which company is likely to accept you and which one is likely to reject you, unless you get a quote from them. This is why it becomes so crucial for seniors to compare different companies before buying a life insurance policy. Most insurance companies these days offer personalized online quotes, based on which you can decide if a particular company is the right choice for you. You only have to fill out a form and the company will provide you with a customized quote based on your age and health status. You can get such quotes from several companies, compare them with each other, and then choose a company that meets your needs. To ensure that the insurance company you choose is solid financially, look for their financial ratings with reputed third party raters such as AM Best or Standard and Poor’s. You should ideally be able to begin the application process online, even if you finally have to speak to a representative to conclude the process. Choose an insurance company that will allow you to customize your life insurance policy to some extent according to your needs. It is vital to understand the policy terms before you buy. If you are selecting a policy that is more complex, a representative of the insurance company should be able to explain to you everything clearly and help you make a poignant decision. If you are a senior citizen who is in the market for life insurance, you need to decide if you are ready to undergo a medical exam or not. If you are healthy and do not have any major health problems, it actually might be a good idea for you to undergo a medical exam to qualify for life insurance. There are many companies that offer policies at very competitive rates for older people who do not have any health issues. So, you might be able to save a lot of money by undergoing a medical exam and qualifying for an affordably priced policy. If you, on the other hand, are suffering from health problems and/or have a family history of hereditary diseases, it is advisable for you to choose an insurance company which does not require you to undergo a medical exam. There are many companies that issue no-exam policies which you can qualify for without undergoing a medical examination. It should be noted that even insurers that do not require you to undergo a medical exam can reject you at times, if you have severe health issues, chronic diseases, or a terminal illness. There are still health questions on the application. In such cases, it might be prudent for you to choose a company that offers guaranteed acceptance policies. There are absolutely no entry barriers for these policies. All you need to do is apply and you will get accepted. If you have reached the age of 60, and do not have life insurance, you should urgently begin your search for a suitable policy. It is natural to have a concern that you won’t qualify due to your age or medical condition, but do not count yourself out. Several prudent life insurance options are likely to be available for seniors over 60. The key is to avoid making costly mistakes during the buying process. Life insurance, particularly for senior citizens, must be viewed as a one-size-fits-all plan. The coverage should match with the senior’s unique situation and their personal profile. For instance, “life insurance without a medical exam” sounds tempting, but it is not for everyone because the premiums are higher. All seniors need to consider their age, health condition, debt status, and how many dependents they have, if any, while choosing a life insurance policy. While premium cost is a vital factor, it may not be the most important one in all cases. Various life insurance policies come with an option to add riders (such as “critical illness”) to the policy, enabling you to increase coverage benefits for a reduced rate. There is also the matter of a rate lock. Policies offering very low premiums may sometimes have no rate lock, which means the premiums will go up every few years after you buy. The policy could eventually become unaffordable, forcing you to lapse your coverage. As a senior citizen, you need the guidance and support of an agent who is dependable, knowledgeable, and caring. Choose a reputable professional who is already representing seniors like you for their insurance needs, and has a reputation of being fair and cordial. You should also determine whether you are comfortable working with a captive life insurance agent who represents only one insurance company (which should have high financial ratings) and offers dedicated customer service, or an independent agent who works with multiple insurers to get you the best deal. You could also work with an insurance broker, who will have a broker’s license, and is likely to offer the wide range of life insurance products. A common modus operandi of scammers is to create a fictitious insurance company, which will suddenly and mysteriously go off your radar once they have taken your money. To avoid this situation, do your research on the insurance provider that the agent claims to represent. Check out the company’s website, its presence on a Google search, and its inclusion in salient third party life insurance websites. Call the insurance company to verify if the agent has been authorized by them to represent the company. They may also be listed on the official website of the insurance provider. Online reviews about agents are sometimes available on third party sites. A legitimate agent’s email address may have been provided by the insurance company (not the general Gmail or yahoo address). Send a mail on that address to see if you receive a response. Before you sign any paper, check with the insurance provider whether they ever raise premiums over the course of the life insurance policy. Unless you are fully convinced by their response, do not move forward. Similarly, check whether the insurance provider has reserved the option to change the plan details years after the life insurance policy was signed. If they have placed age barriers or other restrictions on coverage without clearly communicating about them to you, it is judicious to be cautious and do further due diligence before moving forward. Seniors have access to many of the life insurance plans available to younger people – yes this is true! That said, some types of life insurance policies may be better for you. Take a look at these coverage options to find the best life insurance policy. 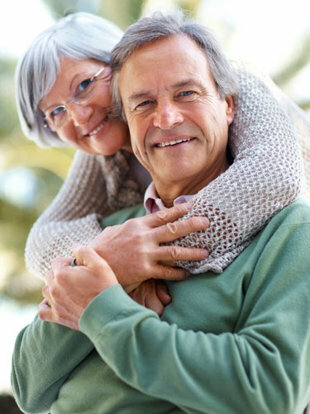 Term life insurance is usually considered the best option for seniors. As this is pure insurance, it offers more coverage at a lower rate. Even if you may be approaching 65 (upper age limit for applying for long term life insurance at many providers), you could get a policy for under $100 if you are in decent health. You may just be limited to a 10 year term. The term life insurance option can help you insure for specific reasons, including paying off debts, paying final expenses, or providing for your spouse and children for a specific time period. If you think you may require life insurance coverage only for 10 to 20 years, a term policy could be the right choice for you. This plan has a level premium amount and a level benefit amount through its full term (typically five to 20 years). A Guaranteed Level Term allows you secure steady monthly payments for a defined payout, in case you pass away during the term. It is a short-term life insurance policy that is renewable every year for a specified period. The advantage is that, the premiums start out low. But with every renewal, the premiums will rise. It could be a good type of policy to have when you need life insurance for a short period of time, such as until you retire in three to four years. This insurance offers a death benefit that declines in value every year. The premium starts out lower due to the decreasing payout. This could be a sagacious option if you are insuring against your debt. Term life insurance policy does not offer any guarantees of renewal. Even if you choose an annual renewable term policy, it only guarantees that you can renew the policy for a specified number of years. It is important to remember that it becomes more difficult to buy a new term policy after you turn 65 years old. Therefore, you should carefully evaluate up front how long you might need your term to last. A longer term will have a higher premium. However, it is better to pay a higher premium than to be in a situation where you are without coverage when you still need it. Permanent life insurance is another important plan to consider for seniors. Unlike term life insurance, this policy covers you for your whole life. However, this is not just pure insurance, and includes a savings or investment component. This plan is often called “whole life insurance,” but that is actually a type of permanent life insurance. Compared to term life insurance, permanent life insurance is more expensive. But even with higher premiums, this policy could be the right solution depending on your situation. For example, if you want to provide for a spouse or child with a permanent disability, who is not expected to become financially independent. That means you will never be in a situation where you do not require some life insurance coverage. That is an example where permanent life insurance could be an astute option for you. Furthermore, these policies are sometimes part of a larger estate plan. This policy comes along with a death benefit and a cash value. A part of your premium goes towards the investing portion. Your insurance company will pay dividends on this portion. Some whole life insurance policies offer a minimum guaranteed cash value, while in some others you are allowed to withdraw money from the cash value. This policy is similar to whole life insurance, but usually involves a more aggressive investment strategy. In a variable life policy, the number of investment options is higher. Your cash value will change according to the underlying investments. This policy may be a fine choice if both you and your spouse are providing for a disabled child. Survivorship life will insure your lives together and will pay out after you both pass away. It is more cost-effective than two individual whole life policies, but quite similar in other respects. Burial insurance, or final expense insurance, is a type of life insurance designed to cover the expenses when the policyholder passes away. The policy could help pay for burial/funeral costs and any outstanding medical and other bills. To qualify for this policy, you may be asked slightly more detailed health-related questions. If you have serious health issues or a pre-existing medical condition, qualifying for a guaranteed issue life insurance policy may be easier. For seniors who wouldn’t otherwise qualify for term life insurance, a guaranteed issue life insurance is often described as the “last resort”. However, for someone who has serious health issues but requires some form of life insurance, a guaranteed issue life insurance is an option worth considering. You will not be required to have a medical exam, and if you are able to afford the premiums, your application will be accepted by the insurance company. The downside of this insurance policy is that it is expensive. In terms of per dollar coverage, it is perhaps the costliest life insurance product in the market. Moreover, you do not get much for your premium, and the death benefits in guaranteed issue life insurance are typically small. How Much Life Insurance Coverage is Enough? Life insurance needs often changes over time. As people age, they usually require less insurance because they may have fewer financial obligations. The mortgage may be paid off or close to it, the children might be independent, and the retirement savings could have grown. If this is your situation, you probably require less insurance than you did some years ago. You can save money by simply not overbuying. But at the same time, you need to think about the risks and the extent of your exposure and make sure you are adequately covered. You may not require a lot of money to live in your senior years, but your healthcare expenses are likely to increase. You should also account for the future increase in inflation while making your calculations. Cheap Life Insurance for Seniors: Is it Affordable? The best cheap life insurance may not necessarily be the right life insurance. Although low monthly premiums are important, it is equally vital to choose a life insurance policy that provides ample protection. Here are some factors that can influence how affordable life insurance is for seniors. Look for the insurance provider’s financial ratings, which are an indicator of their ability to pay out on your claim, should the need arise. Set your bar high when you are making a choice. While term life insurance is always the best policy for seniors, it should preferably have an option to convert the term to a whole life or permanent policy. If life takes an unexpected turn, and you are diagnosed with a serious illness, your policy renewal may become difficult. So carefully consider the conversion option while choosing a policy. Choose a policy that offers guaranteed renewability, which means during that set period you cannot be refused the right to buy additional coverage. Life insurance in its basic form provides a death benefit to beneficiaries. However, if you choose the right type of add-ons or riders, your policy could help to protect you in your lifetime as well, offering financial support in case of long term care needs, terminal illness, disability, and so on. 60 is actually a tricky age, as it is the cut-off age beyond which you are not likely to be issued a term life policy by many companies. Still, there are companies that offer term policies for people aged 60 and above with a reasonably high death benefit. So, what should you do? If you are in good health, a great option is a term life policy, even if it means undergoing a medical exam. You might be able to buy a policy at surprisingly competitive rates. Otherwise, a simplified issue whole life policy might be a better choice for you. There are no medical exams and you only have to answer a few questions on your health status, based on which you might be accepted or declined. If you are over 70, you are not likely to qualify for a term life policy. So, a whole life policy is the best choice for you. If you do not have any serious diseases, you can press the button for a simplified issue policy. Otherwise, you should choose a guaranteed acceptance policy with a sufficient death benefit to cover your needs. If you are in your 80’s, you are unlikely to have any major financial commitments. So, you only need a policy to cover your final expenses. There are several companies that offer final expense policies whose death benefit range from $2,000 to $25,000. If, on the other hand, you still have financial commitments, you should choose a universal life policy with sufficient coverage. There are several companies, some of which are listed above, that offer guaranteed universal life policy up to the age of 85. So, it might be the best option for you. Buying life insurance can be a complicated process for seniors. If you are not careful, you might end up choosing the wrong policy, paying exorbitant premiums, and leaving your loved ones lacking money for medical bills and funeral expenses after your passing. It is pivotal to get life insurance quotes from several companies, compare them, and choose a policy that covers your needs and does not require you to pay through your nose at the same time. This will give you the peace of mind you seek. We at noexam.com can help you find the right policy for you, irrespective of your age, health condition, or income level.